* All Computer / Laptop problems fixed at competitive rates. 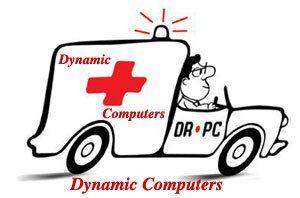 * All kind of Laptop or Notebook repairs / upgrades are also taken. * Laptop LCD Screen Replacement, Faulty Power Jack Repair. * Quality Services delivered to your Home/Office within Glasgow & surrounding areas. * 24 Hour Home Technology operation with fast response for all areas. * Free Repair Quotation, No Fix - No Fee. * Internet / E-Mail / Broadband / Wireless Setup & Security. * Virus & Spyware Removal. * Office Internetworking / Server Installation / Administration/Support. * Windows Media Centre Setups. * Data Backup and Recovery. * Free advice and training - Bilingual Staff Available. 3. Then Double check all work and make sure at no extra costs that your PC or network is secure against external interference (i.e. viruses, spyware or hackers).